DID someone say NEW LOG CABIN? Yes, they did! 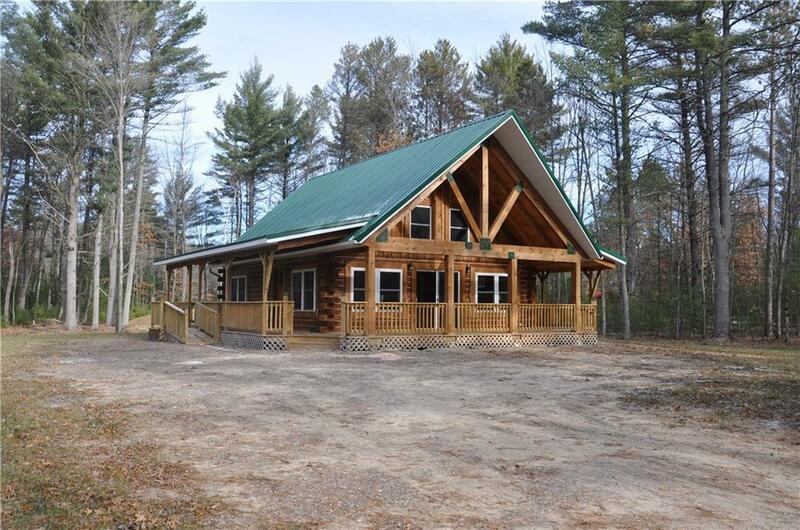 This Stunning, 2 bed, 2 bath log cabin with a wrap around deck will take your breath away. The open kitchen into the living room has vaulted ceilings and beautiful hard wood floors. The custom made iron stair rail goes up to a loft that looks over the entire main floor. Located on a private road, on one acre close to Lakes and Trails! © 2019 Realtors Association Of Northwest Wisconsin. All rights reserved. This information provided exclusively for consumers' personal, non-commercial use and may not be used for any purpose other than to identify prospective properties consumers may be interested in purchasing. Sold price derived from transfer tax shown on deed, other factors may influence actual sale price. The data relating to real estate for sale on this web site comes in part from the Internet Data Exchange program of the NWW MLS. Real Estate listings held by brokerage firms other than bahnub.com are marked with the NWW MLS icon. Information provided by seller, listing broker and other parties may not have been verified. This data is updated daily. Some properties which appear for sale on this web site may subsequently have sold and may no longer be available. Information last updated on 2019-04-18.